On 3 August 2008 I moved to Australia with a suitcase in hand and a rough plan to stay for three to six months to improve my English. Those few months turned into ten years—the classic foreigner in Australia story. When I first set foot in the Standards Australia office, I knew I wanted to work here. The impact of its work on the Australian community and the diversity and warmth of its people are what drew me in, and what has kept me here for the past nine years. As a Project Manager I oversee and facilitate the development of a standard, from start to finish. I get to work closely with some of Australia’s top experts from a number of industries. And at the end of every project I get the satisfaction of knowing I helped do something great for Australia, and in many cases the world. My most recent project was the wayfinding standard, a publication with a massive impact on the everyday lives of the vision impaired. I am also currently the Secretary for ISO international committees covering topics ranging from forensic sciences to building design. It is always entertaining for me to see the shock on committee members’ faces when I introduce myself, in my thick German accent, as a representative from Australia. But ultimately none of that matters, we’re all there for the same reason: to find a solution to a problem being faced by countries all over the world. Take my committee on forensic sciences (ISO/TC 272), for example. We developed an international standard inspired by a serial killer case known as the Phantom of Heilbronn, or the “Woman Without a Face”. 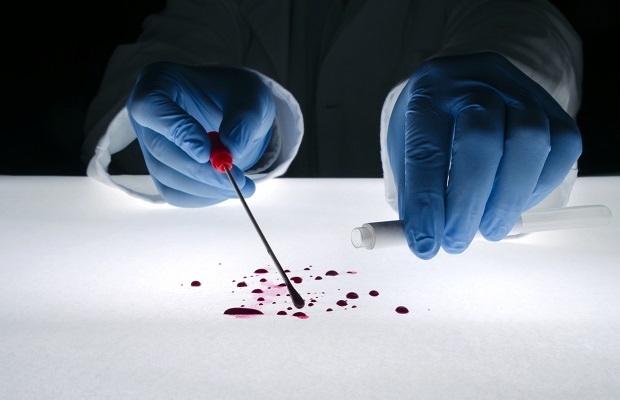 Forty crimes ranging from murder to thefts throughout Europe all pointed to the same woman’s DNA, but there was no common pattern between any of the offences. After years of confused investigation, they discovered that the DNA wasn’t linked to the crimes at all but likely came from the factory worker manufacturing the cotton swabs: a fascinating case of DNA contamination. As a result, the committee developed a standard (ISO 18385) that helps minimise the risk of contamination when taking DNA samples. So if you thought standards were boring, think again! This same committee brought me to Mexico City recently for their 11th meeting, where we progressed a number of other standards that will impact forensic science practices all around the world. This intersection with international is bringing me to a new chapter in my journey in standards development. Sadly this was my last meeting as the Secretary of ISO/TC 272 as I will soon move back to Europe. However, it’s an exciting move because I will work directly for ISO as a Technical Program Manager, shedding light on the process from a completely new angle. Who knew when I stumbled into the unique world of standards ten years ago that this is where I’d end up, but I’m sure glad that I did.